Without further ado, on to my August recommendations! My Quick Thoughts: Ragnar Jonasson’s BLACKOUT is, to me, arguably the perfect crime novel. I have loved the previous books in Jonasson’s Dark Iceland series, but BLACKOUT took my obsession to a new level—and has remained my favorite book in the series. This story perfectly balances murder mystery with character development and present-day plotlines with flashbacks; in the process, it delivers a read that’s emotional, intriguing, and impossible to put down. BLACKOUT takes place following the events of SNOWBLIND, book one in the Dark Iceland series. It begins with the discovery of a body: a man has been brutally beaten to death on a bright summer’s night. A young reporter in Reykjavik leaves the city, heading north to investigate the crime. The victim has ties to Siglufjordur, and series protagonist Ari Thor and his colleagues find themselves in the middle of a case that becomes murkier with each passing moment. What secrets did the dead man hold? Why is this young reporter so invested in this case? And what larger implications will this case have for Ari Thor’s town? BLACKOUT is an atmospheric, chilling story of past horrors and their present-day implications, and another exceptional outing from one of Scandinavia’s most exciting writers. 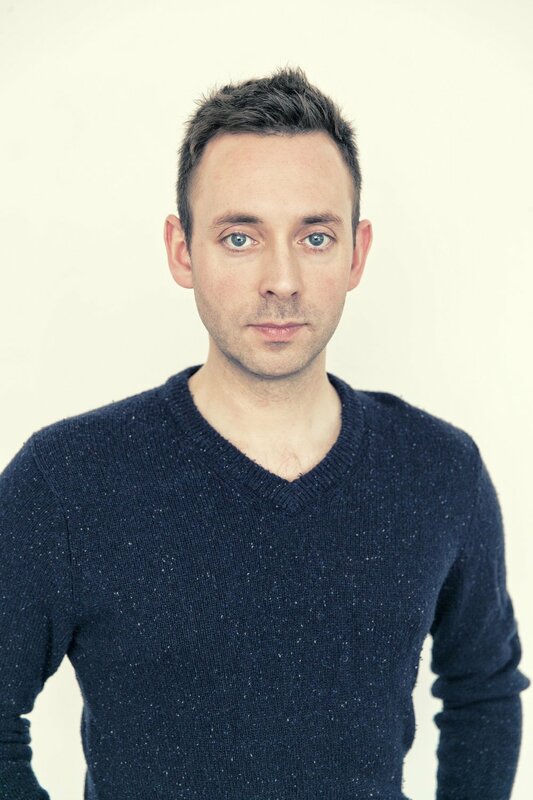 My Quick Thoughts: I fell head-over-heels for bestselling author J.T. 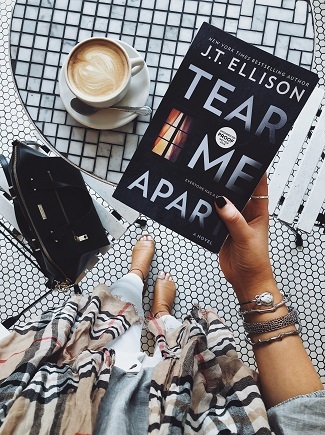 Ellison’s 2017 standalone thriller LIE TO ME last summer—and her newest release, TEAR ME APART, more than lived up to my expectations for it. There’s something about Ellison’s writing that just seems to work for me; though my exposure to her writing has been relatively limited compared to the extensive bibliography she has under her belt, I’m now two-for-two on loving her binge-worthy brand of psychological suspense. Though totally distinct stories, LIE TO ME and TEAR ME APART both feature a deep-dive into the personal lives of individuals working in unique professions: in LIE TO ME, the protagonists are authors, and in TEAR ME APART, the story’s central character is a professional skier and Olympic hopeful. Ellison has a knack for using these unique backdrops as springboards for truly gripping suspense stories—the page-turning fun of her writing is rivaled by the fascinating worlds in which these stories take place. The central mystery of TEAR ME APART? Our protagonist is diagnosed with cancer - and, in the process of seeking out stem cell donors for a treatment, discovers that her parents aren't biologically related to her. What follows is an exploration of longstanding family secrets. 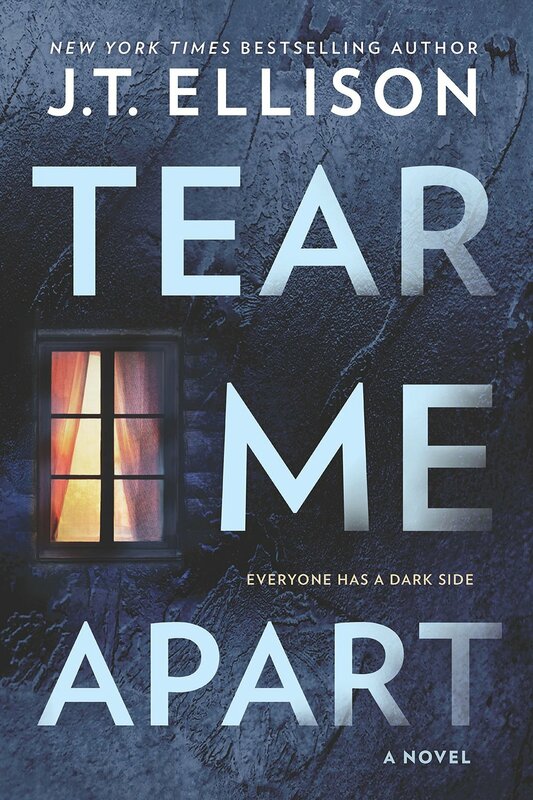 TEAR ME APART is a more-than-satisfying follow-up to 2017’s LIE TO ME, and an excellent choice for readers looking to sneak in another “summer read” before the season ends. I’d expect nothing less from Ellison than a book this fun to devour. My Quick Thoughts: The way I see it, the ever-growing list of new domestic suspense novels is a two-sided coin for us readers. On the one hand, who doesn’t love a great domestic thriller? It’s such fun to see what new suspense novels we can add to our “anticipated reads” lists. But on the other hand… how on earth are you going to separate the great from the so-so? 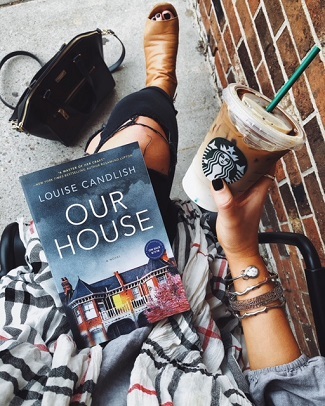 It can feel like picking up a new domestic suspense novel is a bit of a gamble—but not in the case of Louise Candlish’s OUR HOUSE. Fresh, fun, and engrossing, OUR HOUSE is a new take on domestic suspense: a binge-worthy story of secrets in a marriage that will take readers down a totally unexpected path. It all begins when our protagonist returns home one day to discover a totally new family is moving into her home... and that her husband has disappeared, taking their sons with him. Come to OUR HOUSE for its gorgeous packaging; stay for its inventive storytelling structure and page-turning reading experience. OUR HOUSE is a little bit twisty, a touch dramatic, and a whole lot of suspense reading fun. It’s hard to describe this book as anything but propulsive—from its first page to its very shocking last, I was hooked on Candlish’s inventive story of betrayal, guilt, and relationships gone very wrong. My Quick Thoughts: There’s something about the tried-and-true police procedural that always keeps me coming back for more—and finding an author who can write a police procedural in as fresh, modern a way as can Caz Frear is a genuine treat. SWEET LITTLE LIES follows a female policewoman in London whose personal life collides with her work in a dark and dangerous way. Cat Kinsella is called to the scene of a crime: the body of a young woman has been found not far from the pub that her estranged father still runs. Things become even stranger when Cat receives a mysterious call linking this murder to the disappearance of a young woman in Ireland years prior—a young woman whom Cat and her family saw just days before she went missing. Cat had long suspected that her father knew more about the young woman’s disappearance than he admitted… and her latest work assignment will now give her a new opportunity to investigate her own past. SWEET LITTLE LIES is an astonishingly assured debut; Cat Kinsella is a fantastic protagonist, and readers will love the complexity and precision of plotting Caz Frear puts forth in this mystery. Highly recommended for readers looking for a slow-burning, layered mystery that puts a fresh spin on classic police procedurals.